→It isn’t over yet. Amazon just rocks! It isn’t over yet. Amazon just rocks! It isn’t over yet! You may tend to feel that I am biased towards Amazon, but I have to write this. While I was still going gaga over the replacement of my Kindle, I never imagined what more could I expect. To be precise, I was facing this peculiar issue of Kindle getting restarted on it’s own and a faster than normal battery drain. I read on some forums that some people have faced this issue and strangely attribute this to the leather cover for Kindle (non-lighted). I was refunded the amount for the leather cover. 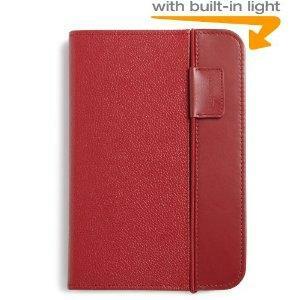 And Amazon offered a US$ 25 promo to purchase the lighted cover. And Amazon offered to refund the customs and shipping costs incurred to get the new cover shipped to India. And they proved that they are really building “Earth’s most customer-centric company” as they claim. The cover is already on its way and will possibly reach India before I am there. What more could I write! @Nishith: Not really. My Nokia phone hangs more frequently than Kindle. I guess. The problem was not too irritating, but before it got worse I thought to call them up. And they responded in style! I think I am getting obsessed with Amazon now. Need to stop! join them, they are looking for people! MBA from IIPM? Hmmm….. I need to re-visit the add filtering options!